EMPOWERING A LIFESTYLE; A WAY OF THINKING, AND A WAY OF LIVING. Delegates will draw inspiration from industry leaders and other fellow delegates as they engage in meaningful conversations and experiences throughout the conference. Inspiration is a key component embedded in the heart of NEW. It is our hope that all who attend NEW feeling inspired and motivated to embrace their own personal as well as professional paths. During the conference, delegates will have the opportunity to cultivate personal as well as professional relationships with other students and successful leaders from various sectors of the professional community. Our student to corporate ratio is approximately 3:1, which allows for intimate one-on-one exchanges of knowledge, experiences, and support. The conference encourages delegates awareness towards the challenges and obstacles with which women may be faced within the professional world and beyond. NEW also encourages self-awareness by facilitating conversations of self-reflection highlighting one’s own passions, skills and aspirations, in both personal and professional capacities. Awareness is also based on the principle of being mindful, recognizing how to overcome the challenges and celebrating the many successes women have and continue to have as leaders. The Network of Empowered Women (NEW) Annual Conference is a student-organized conference that engages students nationwide and provides numerous opportunities for personal and professional growth, thoughtful conversation on female empowerment, and the chance to connect with and be inspired by remarkable leaders from various industries. 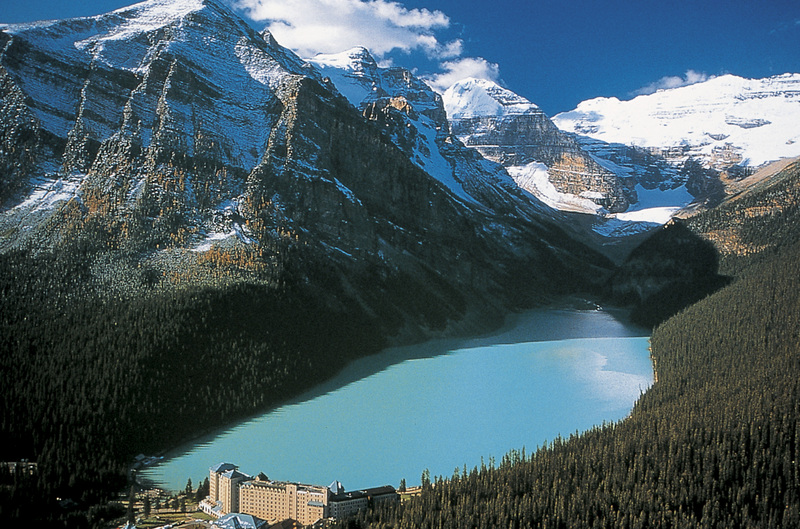 From March 21-24 ,2019, one hundred students, along with a number of industry professionals and speakers from across Canada, will unite at the renowned Fairmont Chateau Lake Louise in Banff National Park for the 7th Annual Network of Empowered Women National Conference. Each of our delegates will leave the Conference with the foundation necessary to empower themselves through their personal and professional lives, along with a powerful network of relationships on which to leverage in the future. This year’s theme is “Be Bold, Pursue Your Dreams” which we hope will inspire you to take action and pursue your passion! Join us to discover how to work through fear, take risks and be bold. We invite you to explore the opportunities available to you as a potential sponsor for NEW. Please refer to our 2019 Sponsorship Package for information regarding sponsorship opportunities for the 7th Annual Network of Empowered Women Conference. If you have any questions, please feel free to contact our VP External, Janet Kwan. Thank you for taking the time to learn more about our conference. The four-day conference provides our delegates with numerous opportunities for personal and professional development, primarily through interactions with corporate guests such as yourself. Our conference will host 100 undergraduate business students from across Canada. Click here to take a look at last year's sponsors! Please click here to get in touch with the External team! Would you like to be a speaker at the Network of Empowered Women Annual Business Conference?